NATO at 70: Cooperation with EU or lack thereof? In April 2019, the North Atlantic Treaty Organization will celebrate its 70th anniversary. But as it reaches a mature age, the Alliance is a transformed body that faces not only external threats, but also many internal uncertainties. In many areas, the current agenda reflects earlier achievements, failures and obstacles. As the European continent faces multiple security threats, the two organizations need each other and face similar – if not identical – complex threats. In a changing strategic context, the EU itself is currently not able territorially defend all of its member states. NATO needs the EU’s contribution to the development of European defense capabilities. This discussion aims to identify and analyze the most crucial and promising areas of cooperation between the EU and NATO. 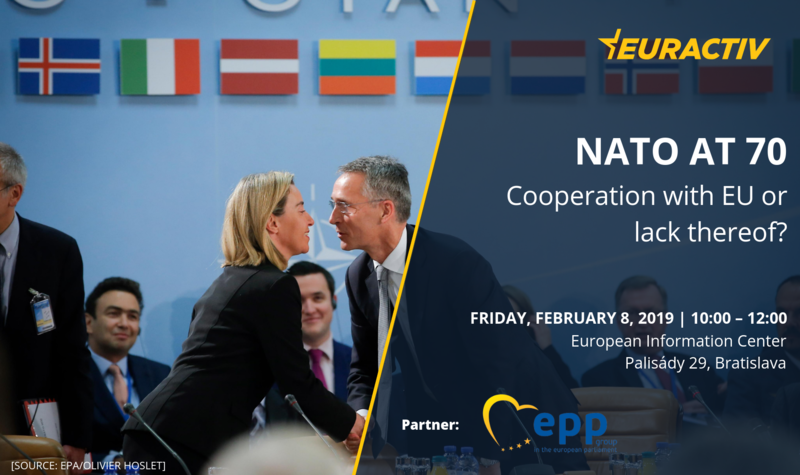 Our panel of leading experts on NATO-EU cooperation will evaluate the state of responsiveness towards major challenges of hybrid threats and capability development, which is a backbone for a consolidated cooperation. What are the prospects of a strengthened EU-NATO cooperation in cybersecurity and strategic communication? How could the new EU initiatives potentially make a positive contribution to NATO? Why is the European public support dropping towards NATO, while it supports a strengthened European cooperation, even as growing costs and expenses for coordinated European defense multiplies? Is it the antipathy towards multilateralism, some surge in anti-American sentiments or a crippled credibility of NATO? And what can and should be done beyond what has been done in previous decades?